Here is a rare beast. 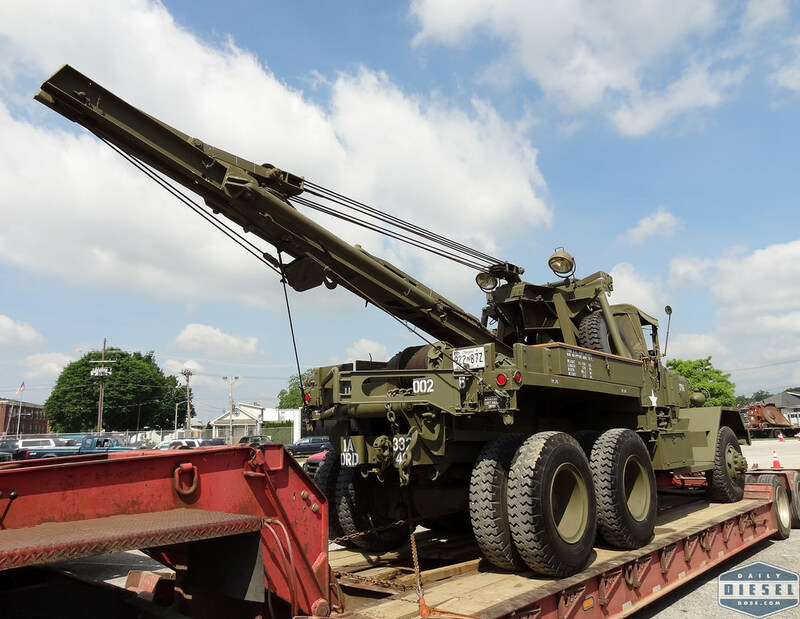 It’s a Ward LaFrance M1A1 military (duh) tow truck. I’m unsure of the age but it appears nearly identical to one recently covered in the May/June 2015 of Double Clutch which features a 1945 model. Production numbers indicate 4000 of these of the trucks rolled out of the W-L factory in Elmira, NY destined for action in World War II theaters across the globe. Primarily these trucks were sent in greater numbers to the European front with many left behind after the war to serve with NATO members for decades to come. The Double Clutch article (read it, very well done) tells us that Continental gas engines were the power plants of choice for the M1A1. I’m unsure of what model but this truck still has one. I was struck by how easily it turned over and how quiet it ran. I suppose calling attention to yourself in a war zone is an unwise thing to do. 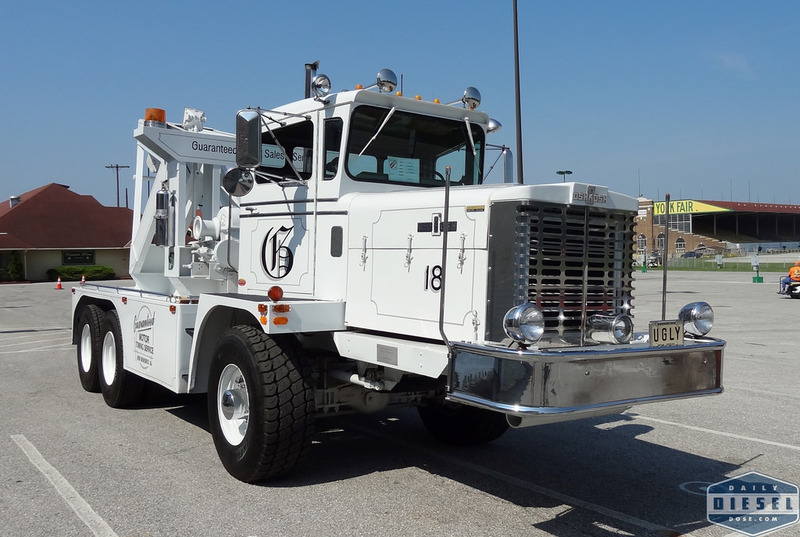 A GarWood winch system run completely on gearing and not hydraulics provides this truck with the muscle to recover everything from Jeeps to Sherman tanks. 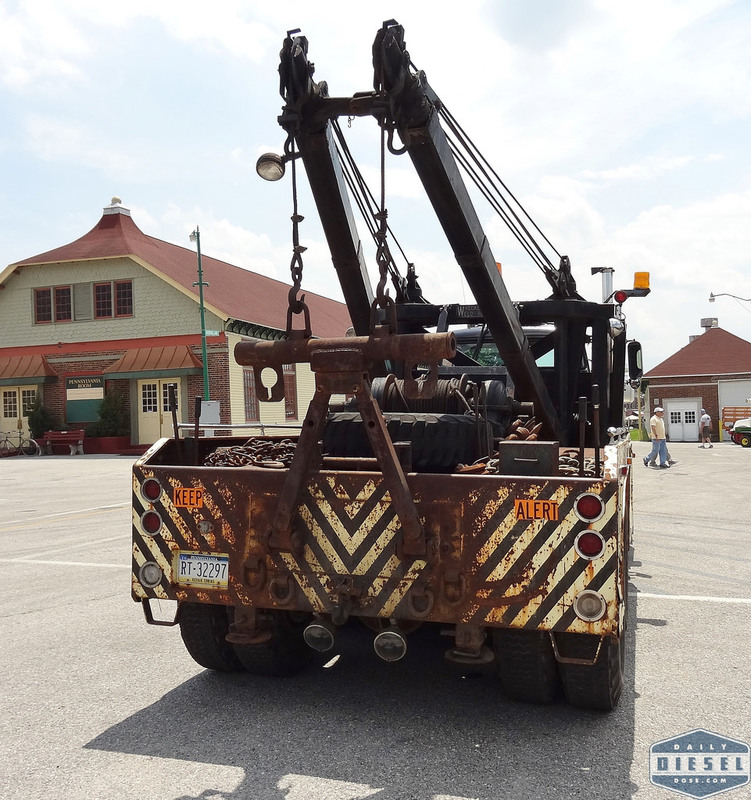 Notable features on this wrecker include a red light and siren on the front left fender. Little bits that over the years would go missing and are difficult to find. 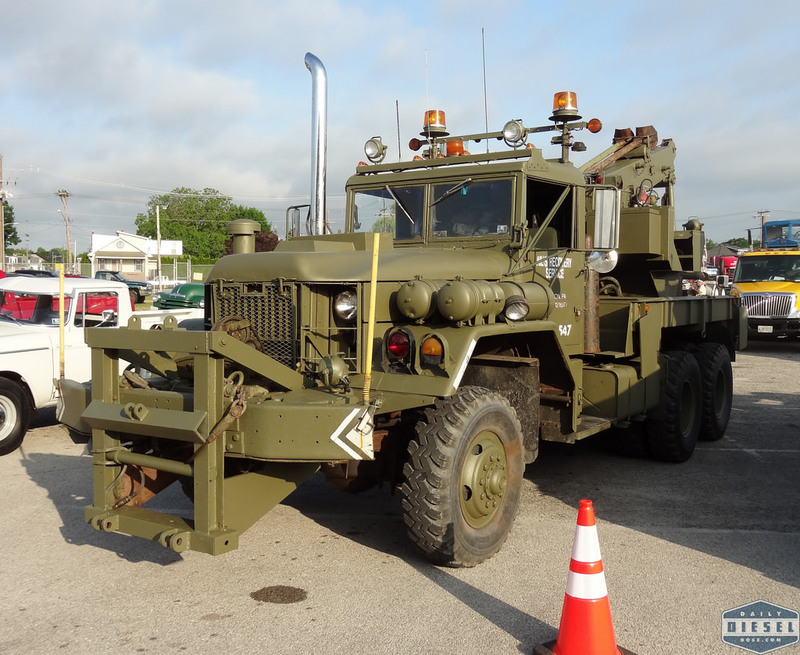 I have a feeling this truck is a real as the M1A1 comes and something any serious military collector would love to add to their collection. Below is a short video of the truck unloading. 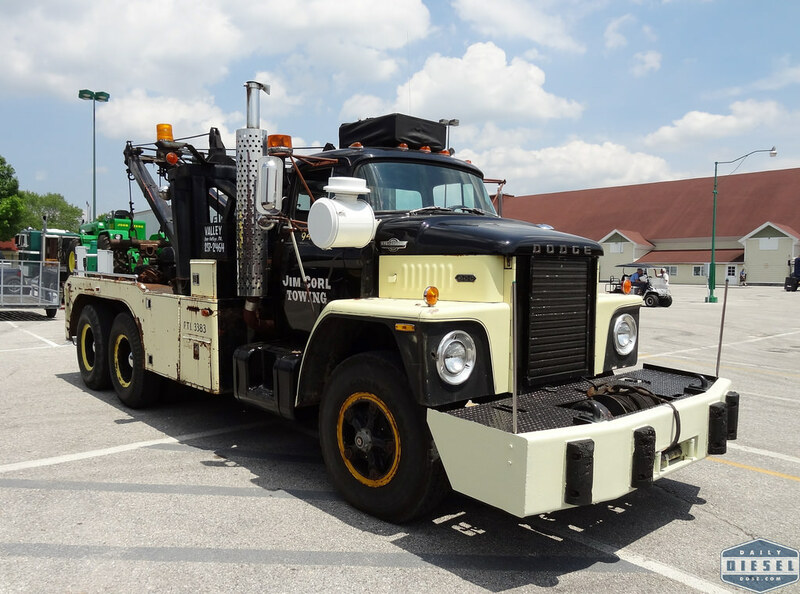 Equally brawny in a much more obvious way is this 1971 Oshkosh C2044 tow monster. Talk about a set back axle! The best I can tell the booms don’t move on this truck. 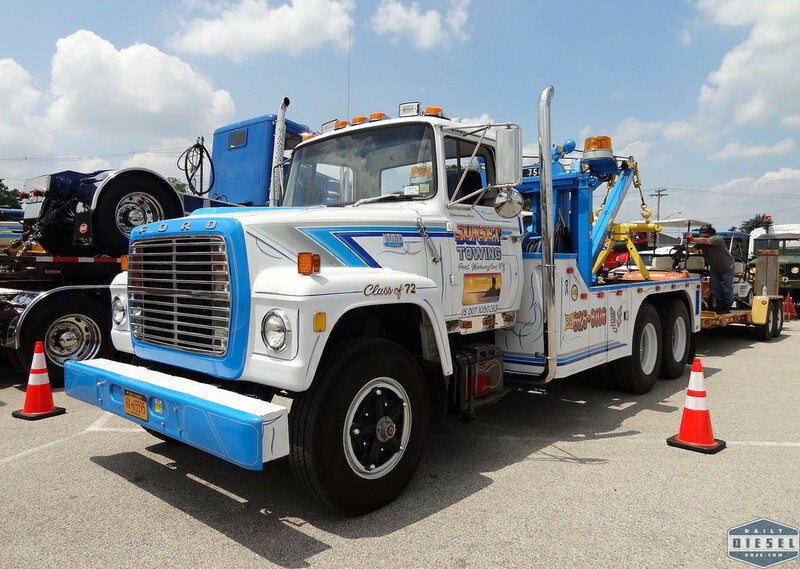 Massive winches and pulleys seem to be the method of recovery for this truck. The video below shows me spinning around the vehicle once and includes footage of it heading to the show field. Caterpillar power anyone was wondering. If you watched the video of me walking the registration line you probably saw this 1972 Ford with a straight pipe Detroit. The more I listen to it the more it sounds like a 318? Let me know what you think. 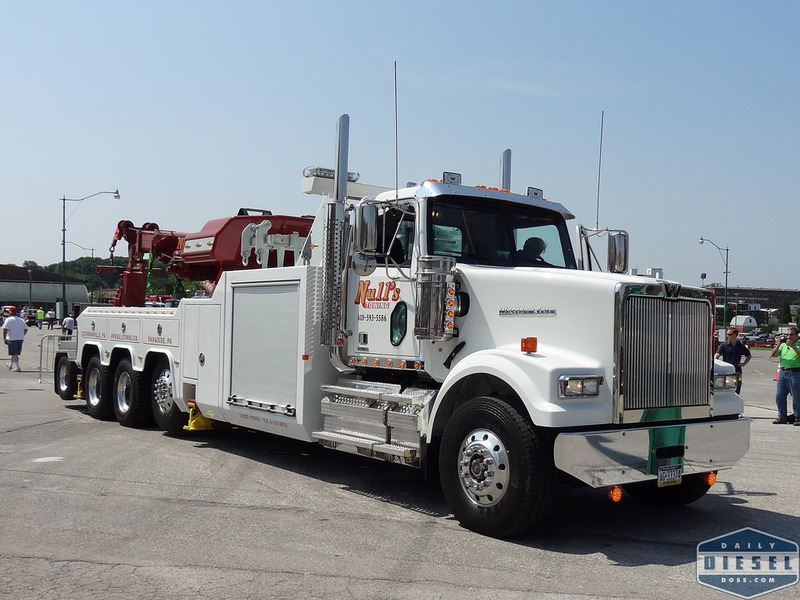 Holmes 750 wrecker body on this one. 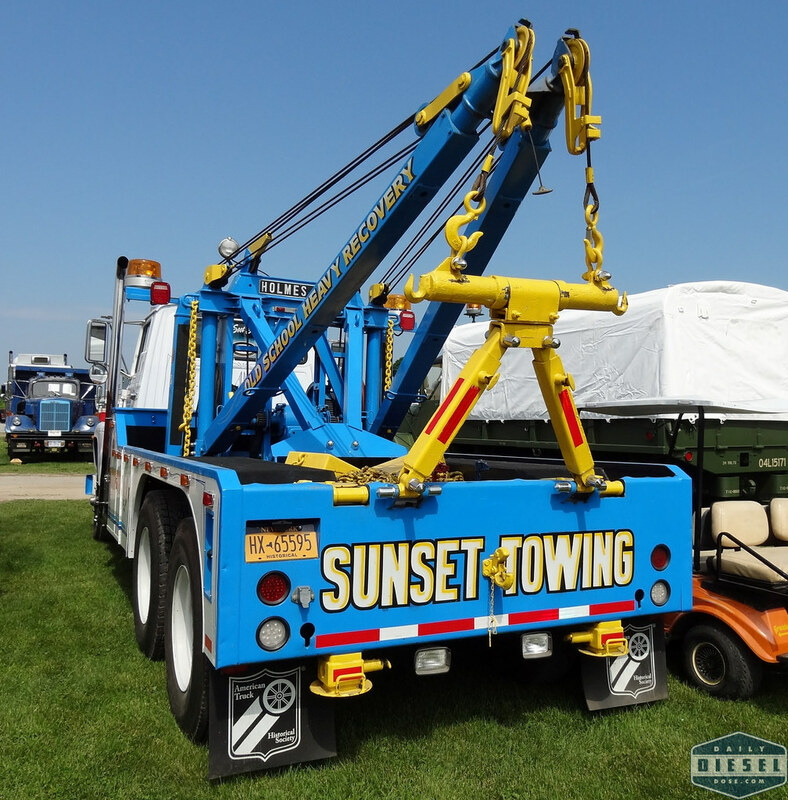 And below there is a gallery with even more tow trucks featuring a few different angles of the ones above plus a few new ones. I would say you’re right Eric. 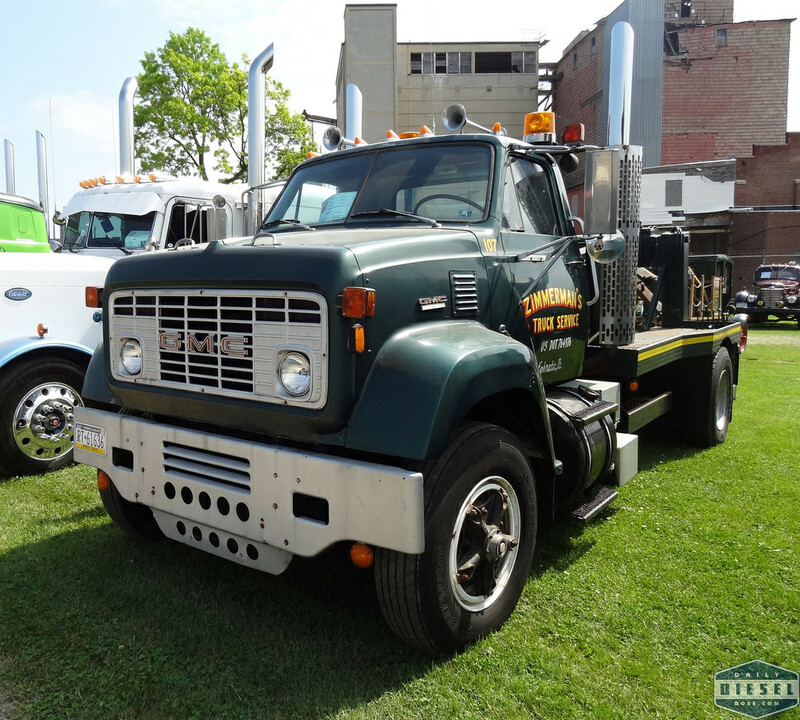 That Ford LT-9000 is definitely powered by a Detroit 8V-71N.